Using Lumion and Lumion Pro via Remote Desktop is not supported. CPU: A CPU with at least 10,000 PassMark points. Click here to see the PassMark list. Graphics card: A card with minimum 6,000 PassMark points and at least 4GB dedicated memory. Examples of cards with about 6,000 PassMark points: Nvidia GTX 960, Nvidia Quadro K5200, AMD Radeon R9 290 or faster. * See "Which Windows version will I need?" below. WHICH WINDOWS VERSION WILL I NEED? Windows 8.x and 10 currently do not allow DirectX 9 applications (such as Lumion) to use more than 4GB graphics card memory for a given application - and no system memory either. The developers of Lumion are aware of the problem, Nvidia has confirmed it and Microsoft has been informed about our findings. In Windows 7 this cap does not exist for graphics card memory and system memory. In other words, if you need more than 4GB memory for your scenes, we recommend that you run Lumion in Windows 7 until this problem is resolved. WHICH GRAPHICS CARD DO I NEED? Your graphics card must have a minimum of 2,000 PassMark points on this benchmark list and at least 2GB memory. Click here to find out which graphics card your PC has. Minimum 2,000 PassMark points and 2GB dedicated graphics card memory (RAM). Examples: GeForce GTX 745, Quadro K4000M, GeForce GTX 570M. Minimum 4,000 PassMark points and 4GB dedicated graphics card memory (RAM). Examples: GeForce GTX 660, Quadro K5000, GeForce GTX 880M. Minimum 8,000 PassMark points and 6GB dedicated graphics card memory (RAM). Examples: GeForce GTX Titan, Quadro K6000. Multiple graphics cards (in SLI configuration) or a graphics card with more than 1 GPU such as the Nvidia GTX 790 will not give you a performance boost in Lumion. In addition, Lumion will only be able to use half of the on-board memory (RAM) of cards with multiple GPUs. For those reasons, we recommend buying the fastest graphics card with a single GPU and as much on-board memory as you can afford. 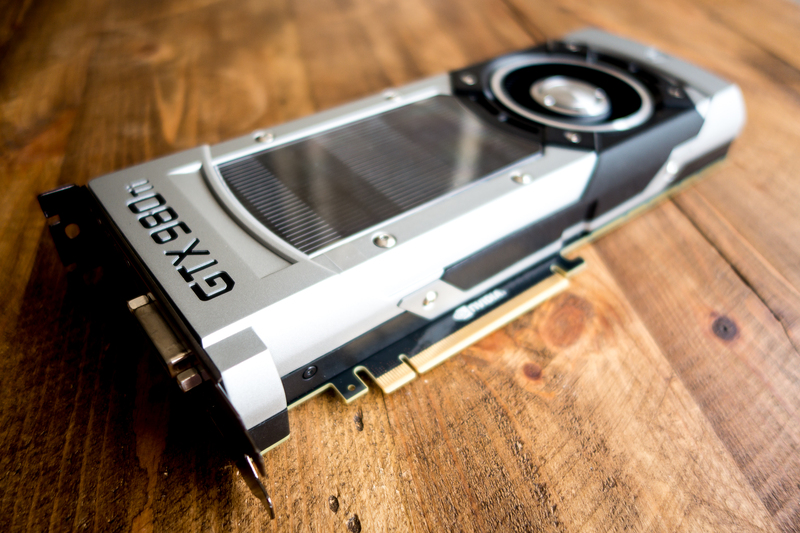 The Nvidia GTX 980 Ti is currently the best choice if your models have a lot of 3D points. However, if your models use a lot of textures, we recommend an Nvidia GTX Titan or GTX Titan X. The framerate in Build mode can be adversely affected by your CPU, if it isn't fast enough to keep up with your graphics card. However, in practice, this is not a problem for most modern CPUs and graphics card. The framerate in Build mode also depends on the monitor resolution. If you're only ever going to use Lumion at a resolution of 1680x1050 you will not need as powerful a graphics card as if you were to connect it to an external monitor with a resolution of 2560x1536.